The culture of your community has shifted over the past five, ten, perhaps twenty years. The shift may have been gradual, but somehow you feel blindsided. Your church probably has three choices: adapt with the culture, relocate to another culture, or continue a futile fight against it. Adapting to the culture doesn’t mean changing the message or compromising principles; only the methods change when Jesus is the subject. Crossroads of Life Church of God in Byram, Mississippi, had to make a decision as they watched their community’s culture shift dramatically, largely over the past decade alone. But they’ve chosen to stay put, and they’re certainly glad they did. 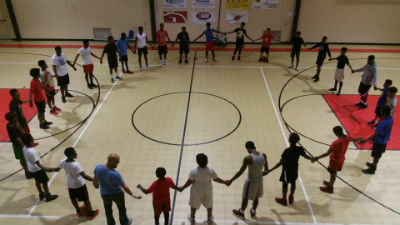 Photo: Sports ministries at Crossroads of Life. Image: Recent ad for a hip-hop worship night at Crossroads of Life. Across the country, Southern states aren’t always the first examples that come to mind of racial reconciliation and unity. But at Crossroads of Life Church of God, it’s different. Very different. Piece by piece, these Jesus people are breaking down barriers. The Byram congregation goes out of their way to develop friendships with civic groups, including those which reflect multiple cultures. Such groups meet monthly on the campus of Crossroads of Life, knowing they are loved and accepted. 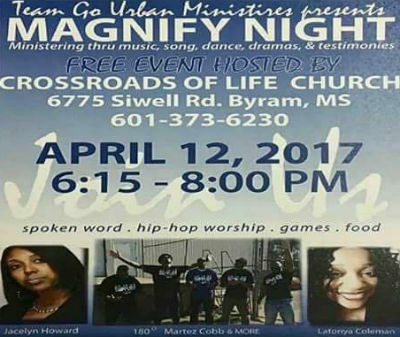 In Byram, Mississippi, across the United States, and around the world, God is on the move in the Church of God. Join the movement. Reach our world. Donate today at http://www.jesusisthesubject.org/reach-our-world-fund/. 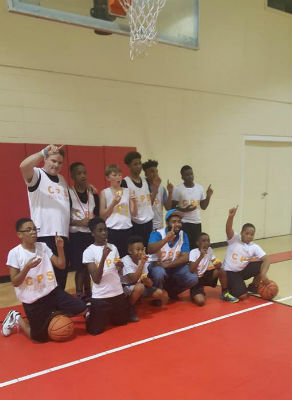 This entry was posted in All Church of God, Southeast and tagged basketball, Byram, change, community, cross-cultural, demographics, diversity, family, gym, Jesus Is the Subject, leadership, Mississippi, MS, multi-ethnic, multicultural, multiethnic, outreach, sports, Trey Hammond, unity, visitors, welcome. Bookmark the permalink.